This is a wooden ornament display rack. There are multiple designated areas for displaying your ornaments. The solid baltic birch construction of this wooden ornament display rack increases it stability and durability by a large. 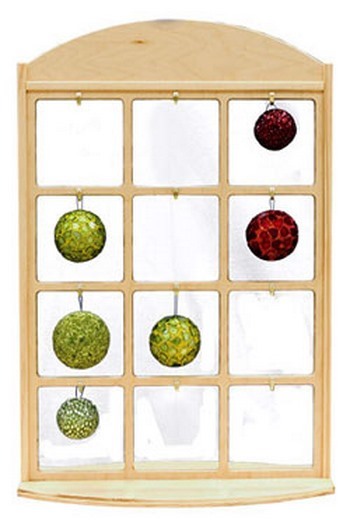 This wooden ornament display rack features a simple design that can blend in with your pre-existing décor very easily. The products displayed are easily accessible from all sides. We also build custom ornament display racks if this design does not fit your requirements exactly.